Born in Guaymas, Sonora, Mexico. Lives in Monterrey, Nuevo Leon. 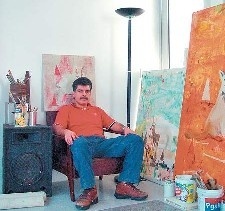 Larios has worked various mediums such as photography, oil, acrylic, digital media and lithography. In 2001 he was awarded the first prize at the Cuenca Biennale in Ecuador.